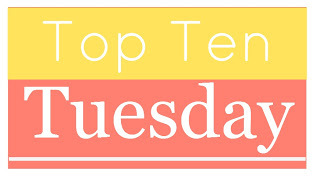 Each week they post a new Top Ten list that one of the bloggers at The Broke and the Bookish will answer. Everyone is welcome to join. This week’s topic is “Top Ten Books I Thought I’d Like MORE/LESS Than I Did.” I decided to divide my list into 5 books a like more and 5 books I like less. I am Legend and Other Stories – I am generally not a huge fan of 1950 era horror or science fiction, so I was very surprised to find I loved this story as much as I do. It is one of my go-to recommendations. Ready Player One – I was not as big a gamer then as I am now. I have grown into my nerdiness. But this made me long to have been a geek back when geek was good. In the Woods (Dublin Murder Squad, #1) – I hate mysteries. I rarely read them and even when I do, I rarely like them. I can’t even remember what prompted me to pick this one up. But I loved it. The Sparrow (The Sparrow, #1) – All time favorite Science Fiction book ever. Top 5 favorite book ever. I can’t even begin to explain to people how amazing this book is. But aliens? Jesuits? Music? All things that I have little connection to or affinity for, but it is brilliant. The Ladies of Grace Adieu and Other Stories – Sadly I have never been able to get through Jonathan Strange & Mr Norrell(but I promise I will try this summer). So I figured I would not grok this one either, but I did and I loved it. Watchmen – I loved V for Vendetta and From Hell and then I read this and it was a let down. Peeps (Peeps, #1) – Coming off of the Uglies Trilogy I just couldn’t get into it. Dune (Dune Chronicles, #1) – I have tried over and over. I have probably read the first 50-100 pages enough to have read the whole book and its sequels by now. But every time I just get bored. Celtic Saints – Irish! Saints! Yawn! Nothing new or interesting here. Moving on. The Blessed (The Blessed, #1) – YA about saints. New and different, yay! Or just strange and creepy. Sigh so very disappointing. We do. What are you reading these days? Sadly, I have not read one book on either of your lists! I have really been wanting to read I Am Legend though, so I’m glad it was on the first list! !